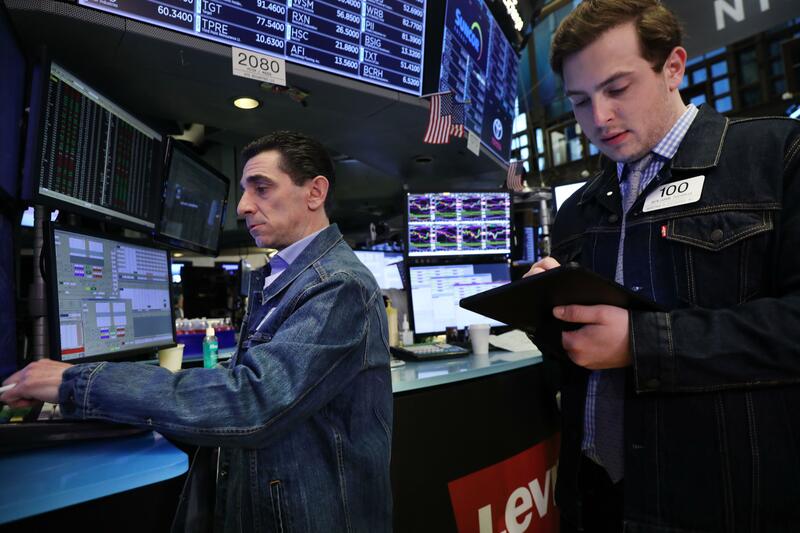 Lower open likely for U.S markets Friday as key U.S. stock index futures were down in the morning sparked by the Federal Reserve’s cautious outlook on the U.S economy. At 5:50 a.m. ET, Dow Jones Industrial Average futures were down 130 points, indicating a negative open of more than 100 points. Mixed scenario prevailed in the S&P 500 and Nasdaq 100. Investors are digesting the dovish stance by the Fed Reserve that ruled out any interest rate hikes this year. The reasons are causing some concern. On Friday, manufacturing, and services PMI data for March, Wholesale trade figures for January and home sales for February will come out. Tiffany’s latest quarterly results will also come up. Oil slipped Friday from the 2019 highs but it is winning with a third week of gains. Prices are held high by supply cuts of producer club OPEC and the U.S. sanctions on Iran and Venezuela. Brent crude futures slipped to $67.39 per barrel at 0942 GMT, 47 cents down the last close of $68.69. U.S. West Texas Intermediate (WTI) futures per barrel at $59.53, was down 45 cents from last settlement. WTI hit a 2019 peak of $60.39 on Thursday. “For all the recent chatter of positive vibes and faithful oil bulls, the $70 barrier has so far proved a tough nut to crack for the European benchmark,” noted PVM analysts. Meanwhile, Asian stock markets closed higher on Friday and retained the previous day’s trend. The mainland Chinese markets made gains as the Shanghai composite jumped and the Shenzhen component made marginal gains. Hong Kong’s Hang Seng index closed 0.14 percent higher. Japan’s Nikkei 225 closed slightly higher while Topix ended higher by 0.17 percent. In South Korea, the Kospi closed marginally higher while Australia’s ASX 200 soared 0.45 percent with most sectors trading higher. Gold maintained its lead Friday although it slipped below a three-week peak of Thursday pressured by rising stock markets after the U.S. Federal Reserve said no interest rate hikes are expected this year. Spot gold jumped 0.1 percent at $1,311.06 per ounce as of 0833 GMT, while U.S. gold futures gained 0.3 percent to $1,310.80 an ounce. “Technically, gold is getting good support at the $1,300 price level and fundamentally, the Fed not raising rates this year is a strong signal for gold,” commented Peter Fung of Wing Fung Precious Metals in Hong Kong. European stocks tumbled Friday as lower-than-expected economic data heightened concerns of a global economic slowdown. The pan-European Stoxx 600 shed 0.6 percent, with most sectors negative. IHS Markit’s eurozone composite Purchasing Managers’ Index (PMI) fell further to 51.3 in March from February’s 51.9 trashing analysts' prediction of 52.